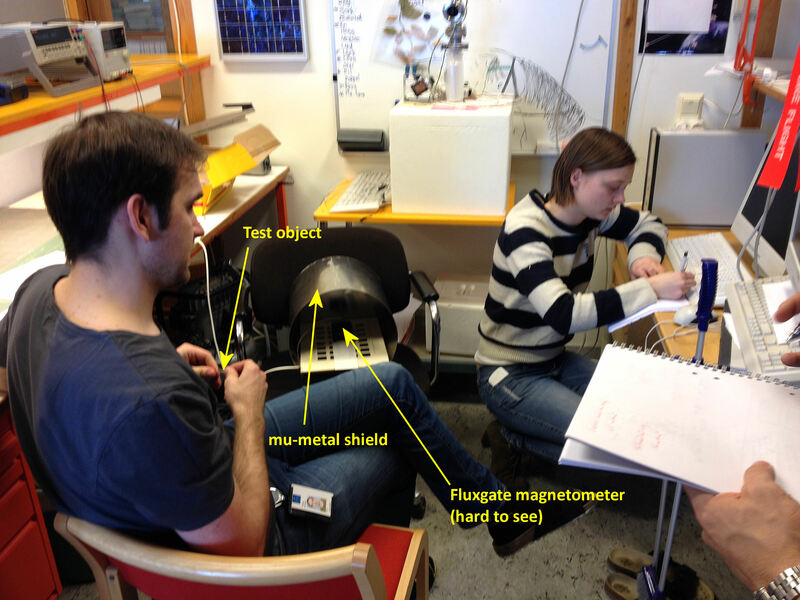 On 31 March, 2015 it was time to measure the magnetic dipole moment of a critical component in one of the experiments. Students Agnes (right, writing) and Vincent (only hands visible) made the measurement with instructions from Tobias Kuremyr, Electronics engineer at the Space and Plasma Physics Group. The result: maybe it will be necessary to reconsider using this highly magnetic component.